There is no better way to see in the festive season. Christmas can be a magical time of year and our Grade I listed building, Avon Tyrrell House oozes character and charm. Celebrate with your students before they break up for the holidays, with a one of two night activity break here at Avon Tyrrell. 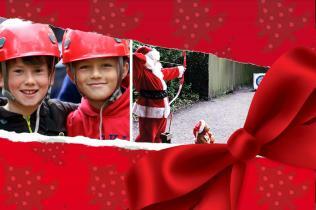 Our Christmas package is a great way to enjoy a low cost residential without spending too long away from the classroom, and it's perfect for younger years as they have their first independent experience with a night away from home. Bookings must be made by 31st July 2018. Valid for November, December and January bookings only. Both groups thoroughly enjoyed their stays and we had a great time. It has been extremely worthwhile and has created great and positive memories for the pupils. "Our students had such a fantastic time and it was so nice to see them enjoy themselves - a real treat to end the term!"